Wink Robots are a simple way to automate your home to run on its own. With a few taps in the Wink app, you can program your products to work together automatically based on triggers, such as location or activity. Step 1: From the home page of the Wink app, select "Robots" at the bottom of the screen. Step 2: Tap the "New Robot" button. Then, name your Robot (let’s call this one “Leaving Home”) and choose the desired trigger for the Robot. In this case, the trigger will be you leaving your home. Step 3: Under "If this Robot detects" select "Something" and then "My location." You now have the option to choose if the Robot will trigger upon arrival or departure from the location of your choosing. For this example you would select departure. Step 4: Under "Then:" press "Make this / something happen." Similar to when you set up Shortcuts, you will see a complete list of the products you’re using with Wink. Select the products you are interested in having the Robot trigger and choose their desired state. Here, you would select “All Lights” and set their state to “Off." Step 5: The "For longer than" option is an additional feature that is not required when creating a Robot but can be very useful. If you want your lights to turn off, but only if you’ve left home for 15 minutes or more, select "For longer than" and your desired timeframe. Step 1: Go into your "Leaving Home" Robot in the Wink app. Step 2: Under "If this Robot detects:" select "Something," then "Front Door," and change the settings to "Unlock." Step 3: Click "Make this happen" and select all lights to the "On" state. We all want to know what is going on in our homes, especially when something out of the ordinary occurs. You now have the option to receive a notification when a Robot is triggered. To do so, simply go into the "Make this happen" button within Robots and choose "Send a Notification" or "Send an Email" so you're always in the loop. Wink Robots may not retrieve your mail or pour your coffee in the morning, but they can make some of life’s little inconveniences a bit more manageable. Shortcuts are a great way to easily access and control a group of Wink-compatible devices. 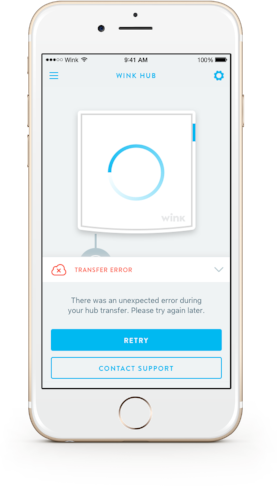 They can make a lot of things happen within your smart home instantaneously with a single tap in the Wink app. If you’re not familiar with Shortcuts, here’s a step-by-step guide on how you can set one up. Step 1: For iOS users, select "Shortcuts" at the bottom of the home screen within the Wink app (top of the screen for Android users). Step 2: Tap the "New Shortcut" button. Step 3: Then, name your Shortcut (let’s call this one "Good Night") and choose the desired action such as turning off the living room lights. To change the icon, tap the "Choose Icon" button at the top and select a relevant image. Step 4: Click "Make this Happen." 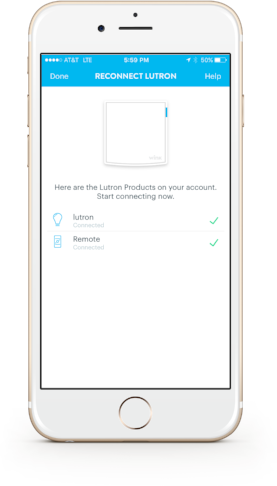 You will then see a complete list of the products you’re using with Wink. Select the products you are interested in adding to the Shortcut and choose their desired state. For this example, select "All Lights" and set their state to "Off." Step 5: You’re all set! Just don’t forget to save your Shortcut by selecting "Done." 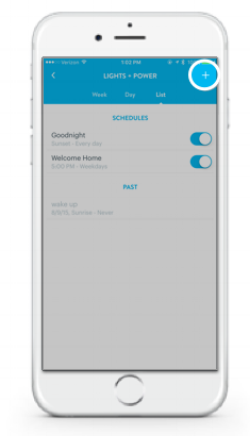 Step 1: Select the "Shortcuts" menu on the home screen of your Wink app. Step 2: Press and hold down on your "Good Night" Shortcut to add products to it. Step 3: Select "Edit Good Night." Step 4: Select "Make this Happen" and add both your front door and bedroom thermostat, selecting the desired outcomes for each product. Widgets allow for almost immediate access to your Shortcuts. Android users have the Widget Bar, which can hold up to five different Shortcuts in one menu. You also have the ability to place a single Shortcut on any page of your device in the form of a Widget. iOS users have a Wink Shortcuts Widget where you can scroll through any active shortcut. This is located in your notification window and can be accessed even if your mobile device is locked. 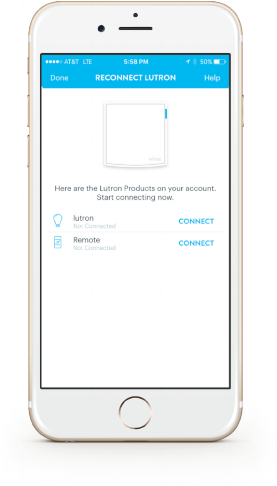 Creating a Shortcut is easy, fast, and with a wide variety of Wink-enabled products at your fingertips, the possibilities for home automation are endless.